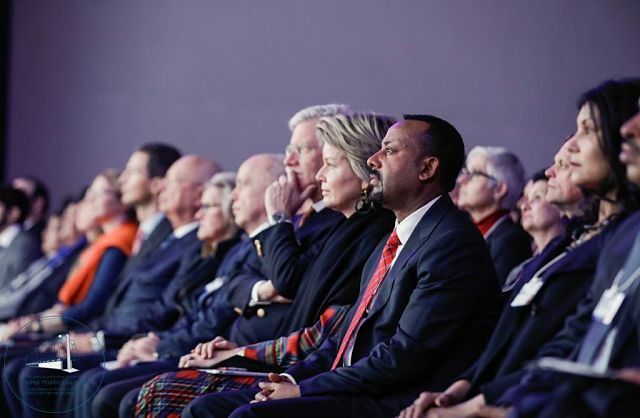 New York (TADIAS) — The 2020 World Economic Forum on Africa, which brings together thousands of public and private sector leaders from around the globe, will be held in Ethiopia. The office of Prime Minister Abiy Ahmed made the announcement this past Wednesday following Abiy’s visit to Davos, Switzerland where he met with German Engineer and Economist Klaus Martin Schwab who founded the World Economic Forum in 1971 as an international institution for public-private cooperation. The event next year will mark the second time that the international forum is being held in Ethiopia. The country hosted the regional version of the gathering in 2012. The 2019 World Economic Forum on Africa will be held in Cape Town, South Africa in September.